"I'm going to be a strict, minimalist mom." That was short lived and you know what, I'm totally okay with that. I didn't have to walk up hill both ways to school and if being a millennial mom means having the luxury of products like the DockATot to make both mine & my babies lives that much more enjoyable, I'm going to be nothing but thankful. Disclaimer. Just because someone else loves something, doesn't mean you or your baby will. There are two things that always seem to be very popular mom must-haves that frankly, were never big hits in the Hulings household. Carriers/slings & swings. I tried them all. My best advice is to move on. You can always re-gift something that didn't end up working for you and your babe to someone else in need, or save it for your next bundle of joy. Mom life has definitely taught me that not everything is in my control (I'm still adjusting). Here's the skinny. 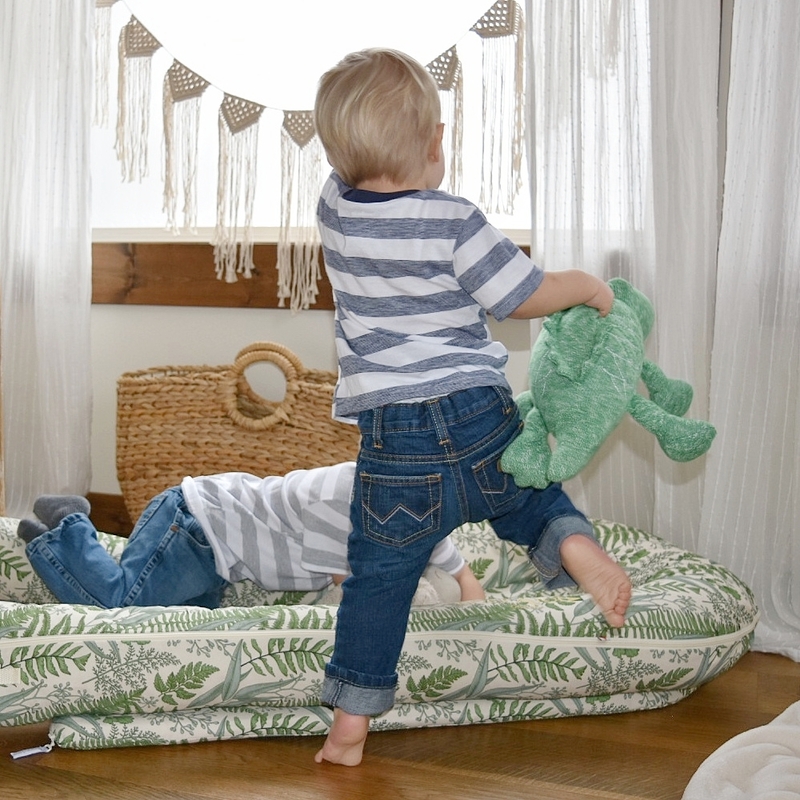 The DockATot is a multi-functional lounger & co-sleeper. They're offered in two sizes (Deluxe 0-8 Months & Grand 9-36 months) and both have the most beautiful machine washable covers I've ever seen. Seriously, DockATot you NEED to make sheets!!! They're designed in Sweden and handmade in Europe with all natural, 100% cotton. They've also been OEKO-TEX certified and tested for breath-ability, making them the ideal micro-climate for babies and tots. This lounger comes at a cost (We received our Lush & Fern Grand, compliments of DockATot), but trust me, you get what you pay for. I've looked up other multi-functional loungers since receiving this product and they just don't compare. The stitching, fabric thread-count, design/shape, pads, covers, certifications... This lounger is the Rolls Royce of loungers and I cannot wait to be able to use it while transitioning Otto to a toddler bed. We officially have a stage 5 climber!